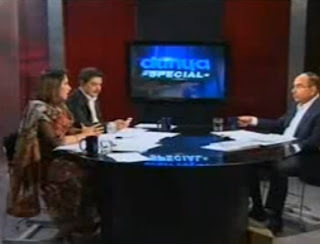 There where allegations on different media groups and anchors from a long time that they eats money from different parties and works on their agenda but yesterday we seen in reality corruption in Pakistani media when a video was leaked on Youtube by some unknown person in which two famous Pakistani TV anchors of Dunya TV Mubashir Luqman and Mehar Bukhari where shown planting interview of Pakistani Billionaire owner of Bahria Town Malik Riaz Hussain. In the leaked video Mubashir Luqman and Mehar Bukhari where also shown taking orders by Prime Minister's son Abdul Qadir Gilani and some other big personalities to do polite questions from Malik Riaz and give him more time to speak. Today Supreme Court of Pakistan has taken notice of this leaked video and ordered inquiry on it. This Video is seen by millions all over Pakistan from yesterday and also shared on Facebook and other social sites.